Here’s the EO Nashville wrap-up for this week and last. James Fields’ [Concept Technology] column appeared in Sunday’s Tennessean. In his column, James discussed how Internet users can protect their privacy online. 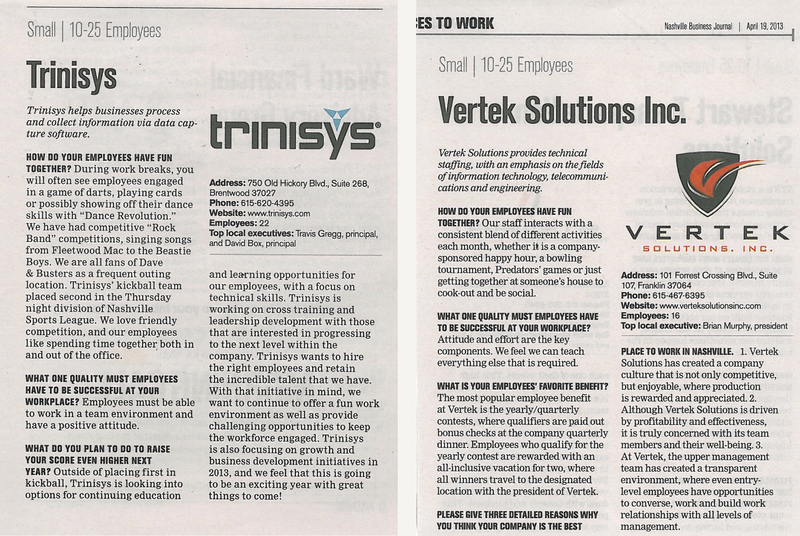 In his most recent Tennessean column, Andy Bailey [Petra] discussed how inspiration is a catalyst for growth. Read his story here. Andy Bailey’s bi-weekly column on SmallBizDaily.com detailed the importance of understanding your team members’ strengths to grow your business. In his recent column in the Memphis Daily News, David Waddell [Waddell & Associates] discussed how it has been a particularly tough stretch for sage taxicab investors. John Rowley [Fletcher | Rowley] was quoted in Campaigns and Elections. Read what he had to say here. 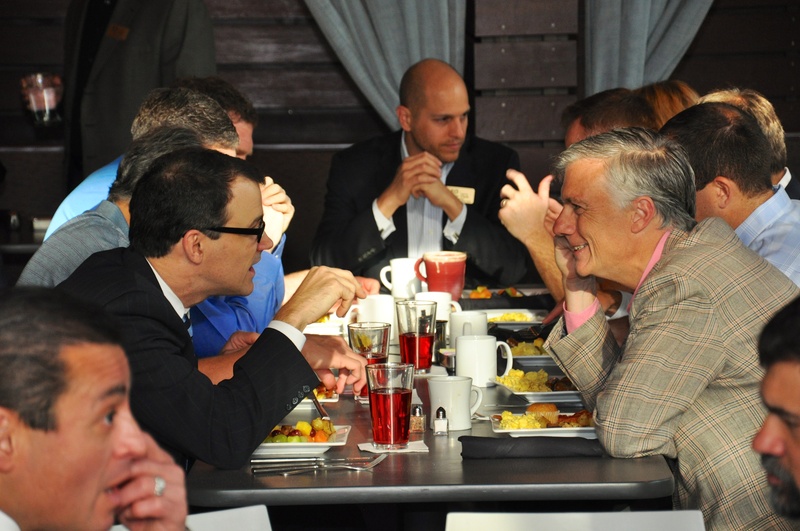 On Wednesday, April 10 the Nashville chapter of the Entrepreneurs’ Organization kicked off its 2013/2014 calendar year with a breakfast at Cabana. 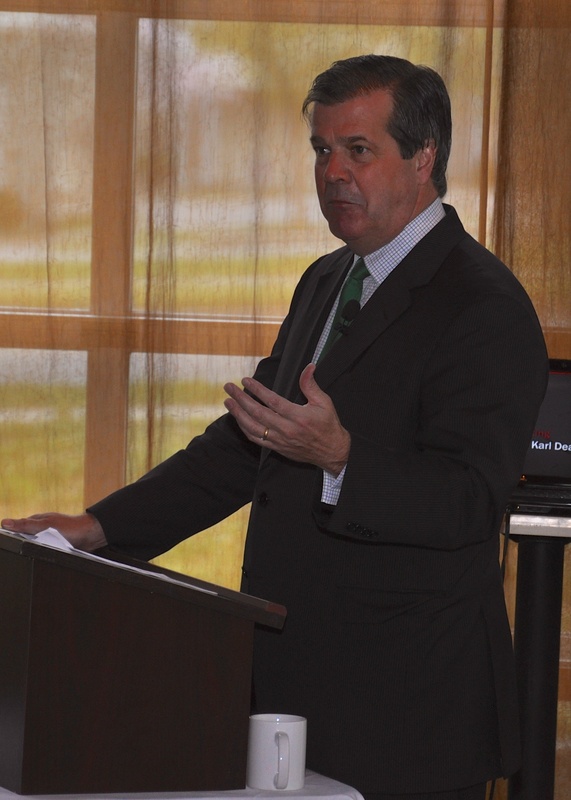 The featured speaker was Nashville Mayor Karl Dean, who addressed Nashville’s entrepreneur community. This came on the heels of EO’s recent announcement that Nashville is the fastest growing EO chapter in the world—it has grown 185 percent since 2010. 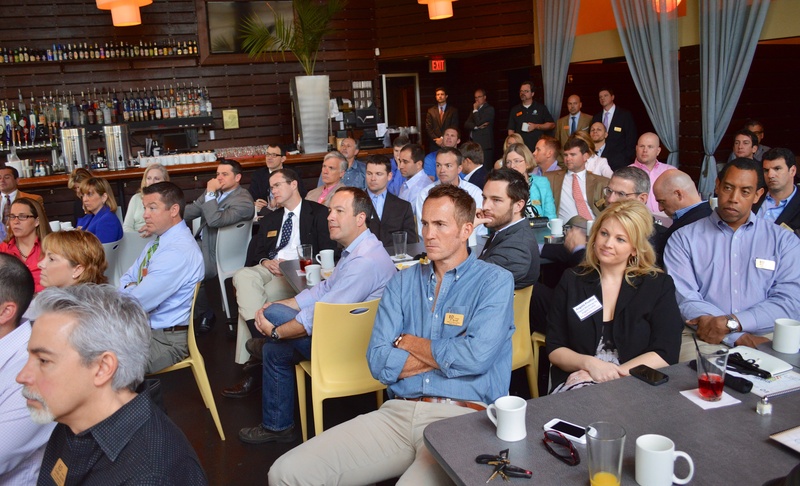 Most of EO Nashville’s 131 members who run regional businesses with gross annual sales exceeding $1 million were in attendance at the breakfast. Another busy week for the members of EO Nashville. 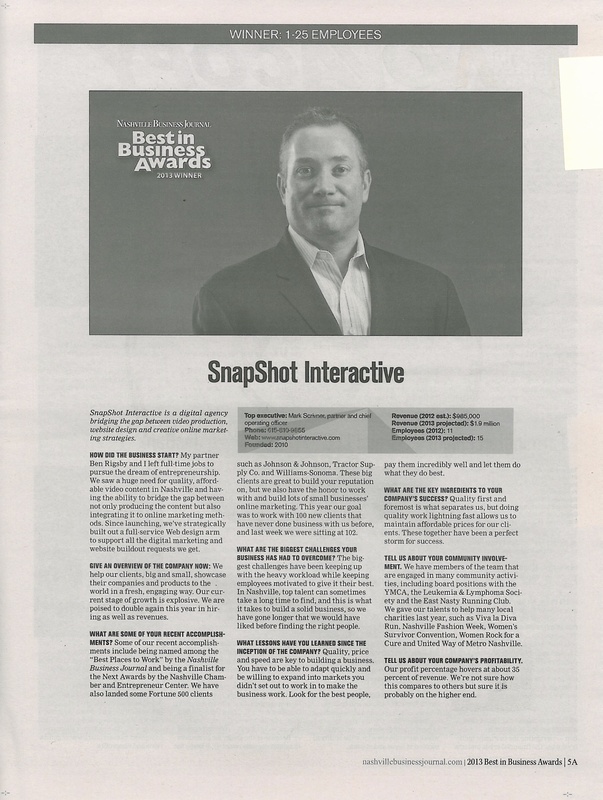 John Rowley [Fletcher | Rowley] was featured in the Nashville Business Journal’s Executive Profile section last week. Read the Q&A here. 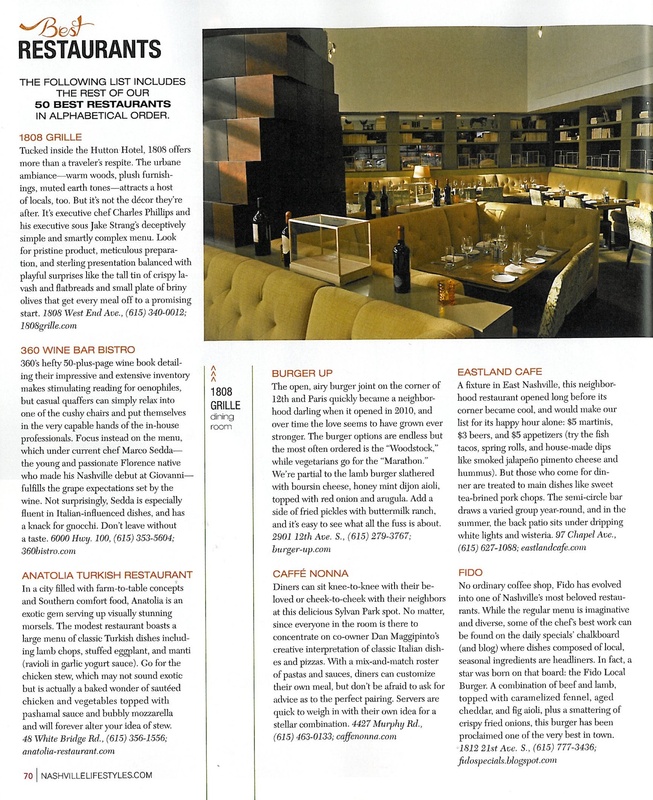 OZ [Tim Ozgener] was voted Best New Venue by nFocus Magazine. Alex Tolbert’s [Bernard Health] column appeared in Sunday’s Tennessean. In this week’s column, Alex discussed the pros and cons between medical pay models. Alex Tolbert was also mentioned in Wednesday’s Tennessean. Read more here. Andy Bailey’s [Petra] column also appeared in Sunday’s Tennessean. Andy discussed the sacrifices his wife has made as an entrepreneur’s spouse and Andy’s wife provides a few words of advice from her experiences. Andy Bailey also appeared in Business Daily.com. Read his blog here. 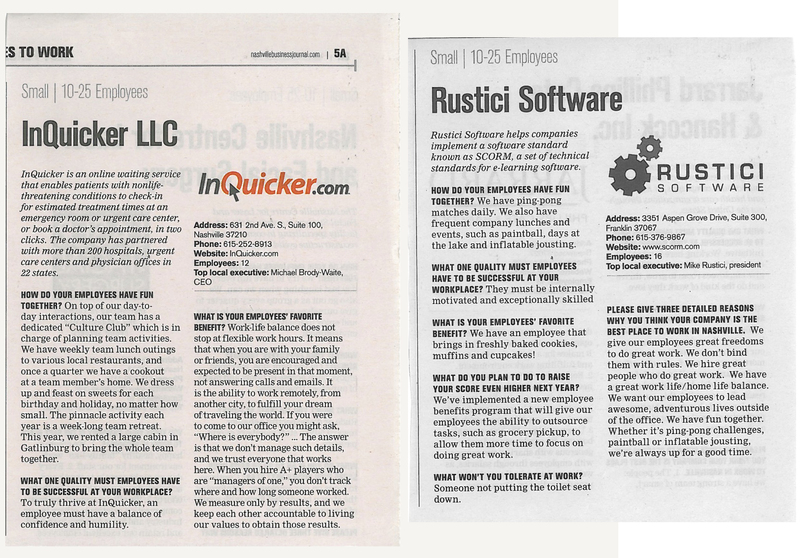 Michael Brody-Waite [InQuicker] and Alan Young [Armor] were featured in the Nashville Business Journal last week. 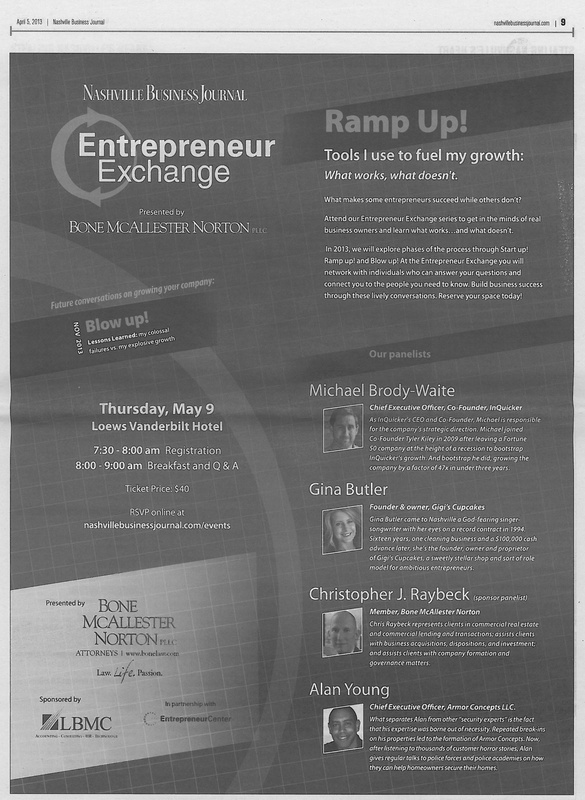 The two will talk at the upcoming Nashville Business Journal Entrepreneur Exchange. 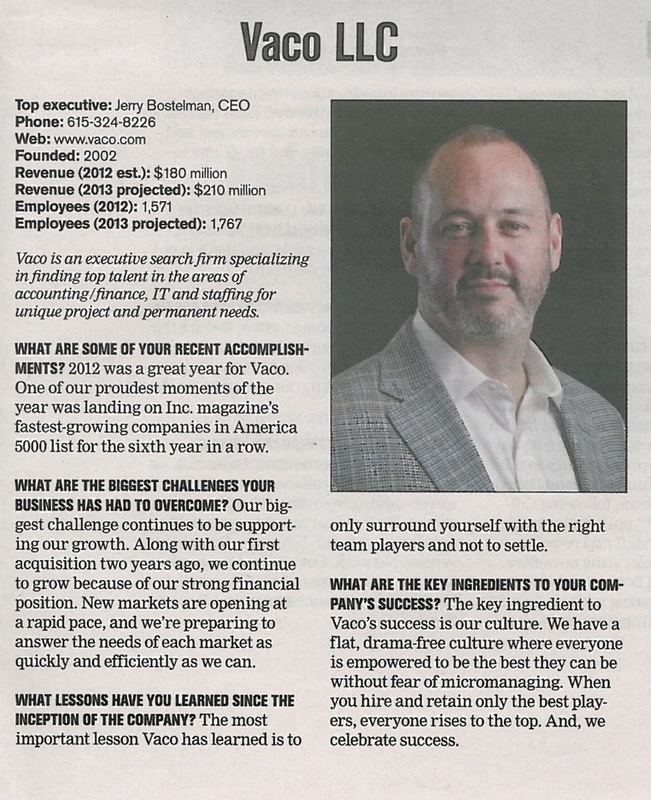 Mark Deutschmann [Village Real Estate Services], Michael Brody-Waite [InQuicker], Crosslin and Associates [Justin Crosslin] and Hannah Paramore [Paramore | the digital agency] appeared in this week’s Nashville Business Journal, where they shared their best advice with readers. National Storm Shelters [Jeff Turner] appeared on News Channel 5 on Wednesday. You can view the video and read more here. 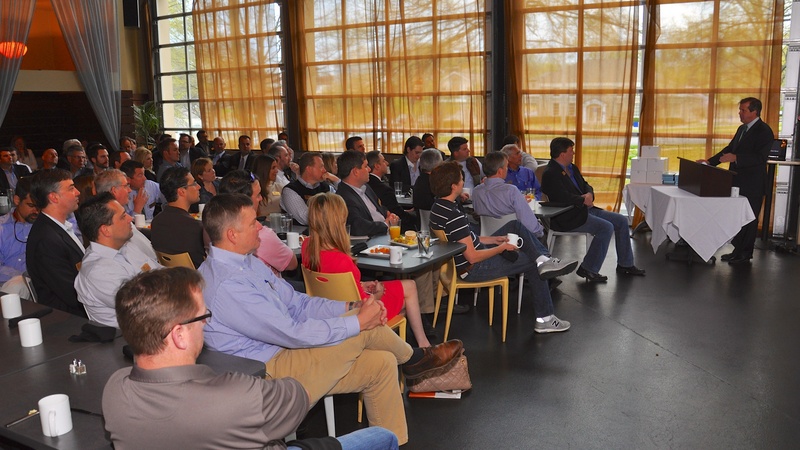 Since the start of 2013, 21 new members have joined the Nashville chapter of the Entrepreneurs’ Organization (EO), ranking Nashville as the fastest growing EO chapter in the world. According to EO Global, EO Nashville has the most new members in all 122 chapters, including other high-growth areas such as Toronto, Edmonton, Los Angeles, the Netherlands and Dallas. 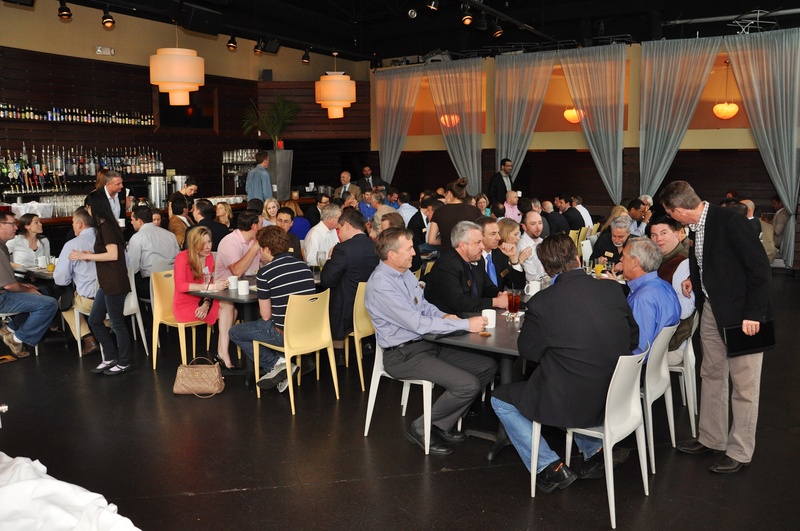 The Nashville EO chapter has a total of 131 members. To join, an entrepreneur must be a founder, co-founder, owner and controlling shareholder of a company with gross annual sales exceeding $1 million. The chapter added 19 new members in 2010, 29 in 2011 and 23 new members in 2012. 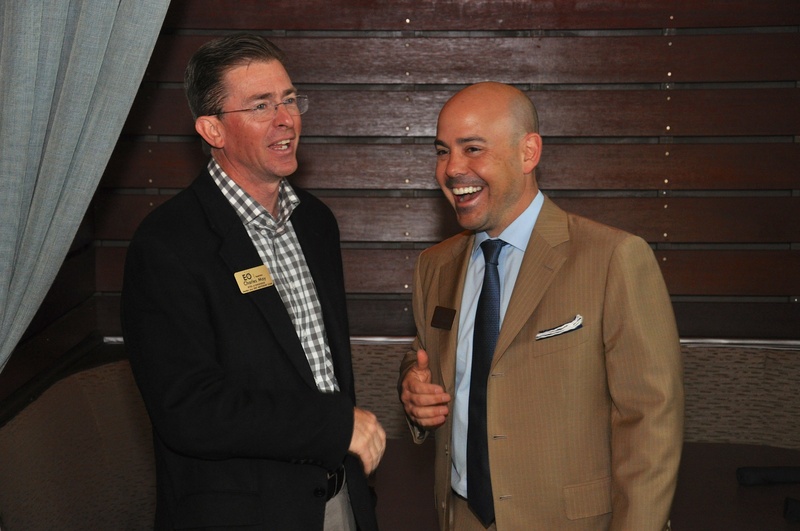 The chapter’s membership almost doubled in that timeframe, growing 185 percent since 2010. Duan Coqui, Owner, Stone World TN Inc.
Austill, Chaffin, Frederiksen, Jordanov, Redhage and Tanksley all join EO Nashville as alumnae of EO Nashville’s inaugural Catalyst class, a program that includes classes, peer-to-peer forum groups and mentorship that is designed to help entrepreneurs grow their companies past the key benchmark of $1 million in annual sales. The second Catalyst class kicked of in August 2012, and applications are currently being accepted for the third Catalyst class, which will begin in August 2013. Last month, EO Global also added its 1,000th female member for the first time in the organization’s history. EO Nashville’s three new women members helped the organization achieve this milestone. “Based on our chapter’s excellent history of retaining new members, this solid growth will add significant value to the chapter for years to come,” Bailey said. 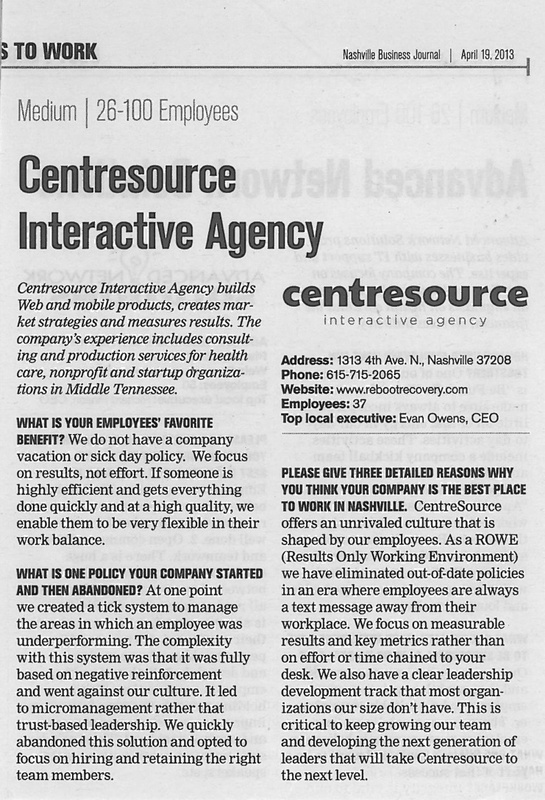 For more information about Catalyst or EO Nashville, contact Sameera Lowe, executive director, at eo@eonashville.com. Many congratulations are in order for the members of EO Nashville. See how they’ve been keeping so busy. 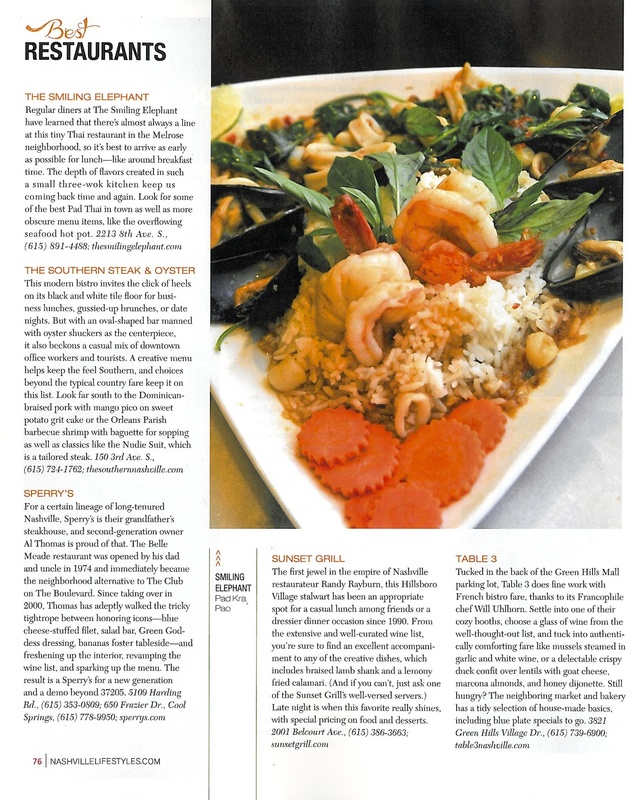 Sam Sanchez [Sperry’s Restaurant] appeared in last week’s Nashville Today. 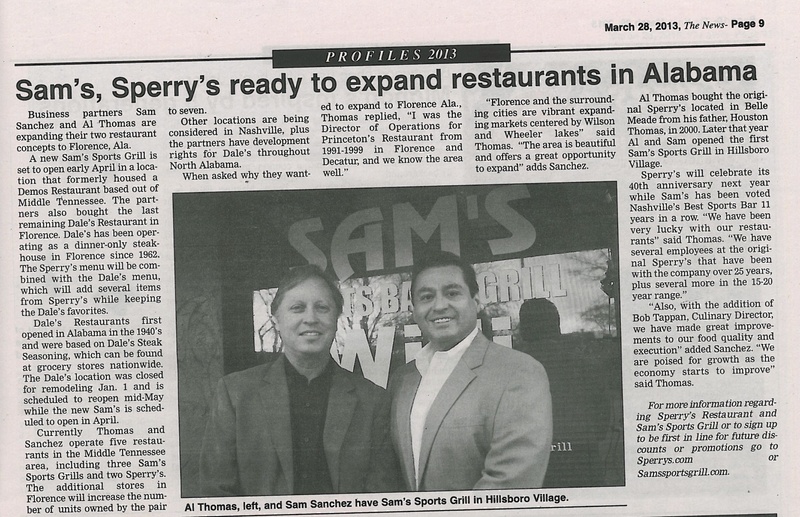 The story reported that Sam and his business partner plan to expand their two restaurant concepts to Florence, Ala. 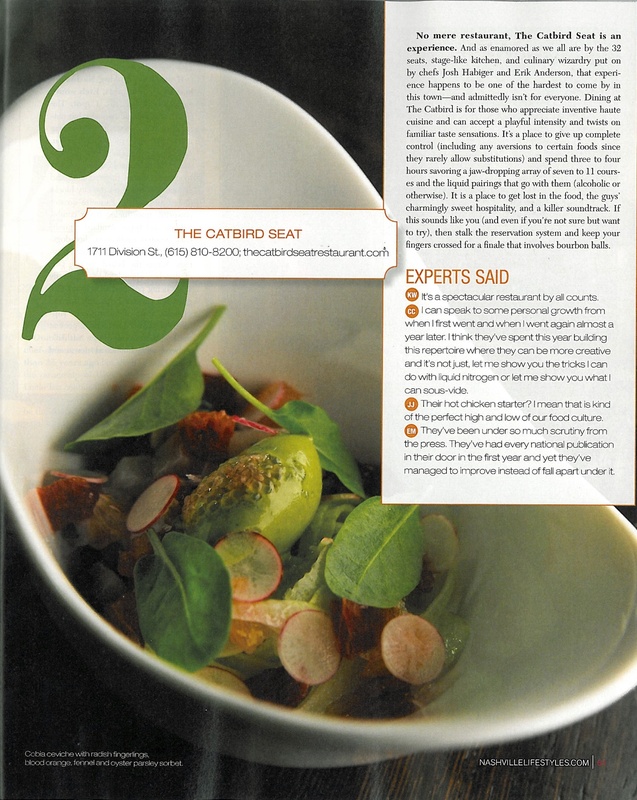 The Catbird Seat [Ben Goldberg] appeared in The Tennessean’s Five to Try section Friday. Ben Goldberg also appeared in Inside Vandy, Vanderbilt’s student newspaper and the Nashville Business Journal. You can read these stories here and here. 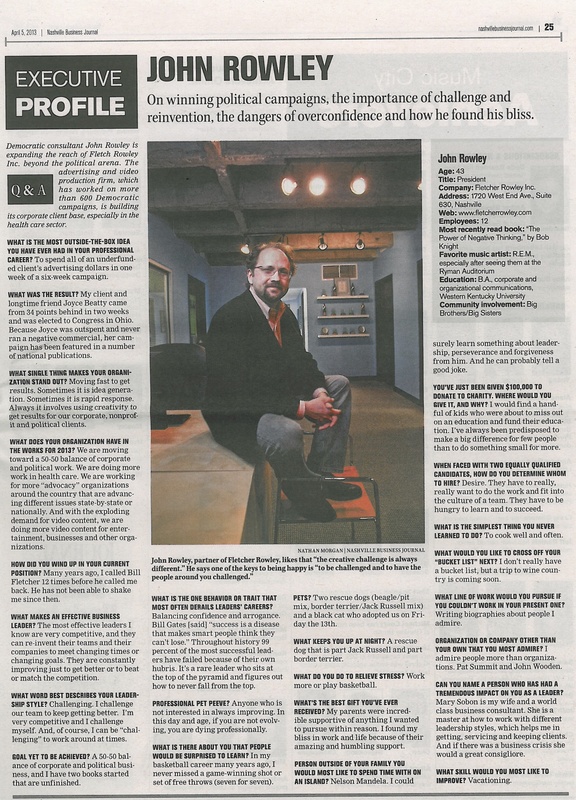 James Fields’ [Concept Technology] column appeared in The Tennessean last Sunday. 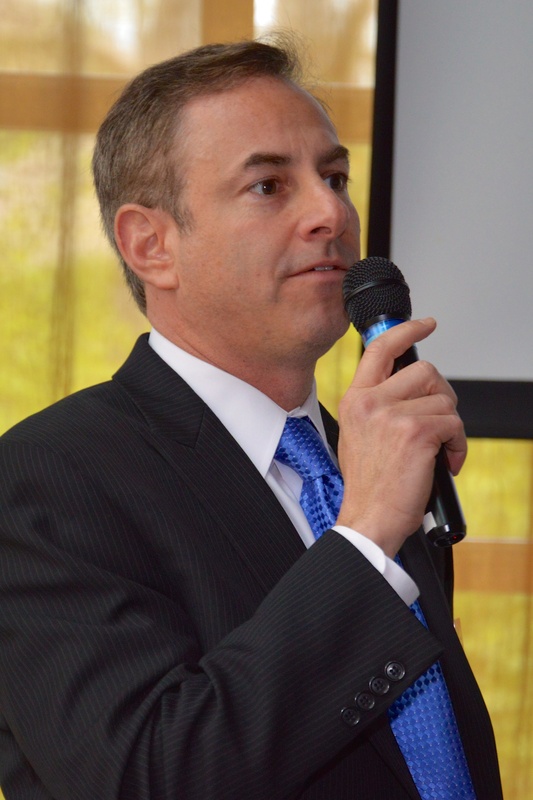 In his column he discussed the importance of and how to choose the right business software. Congratulations to Corsair Distillery [Darek Bell], who recently won the #1 gin in the 50 Best Gins competition. 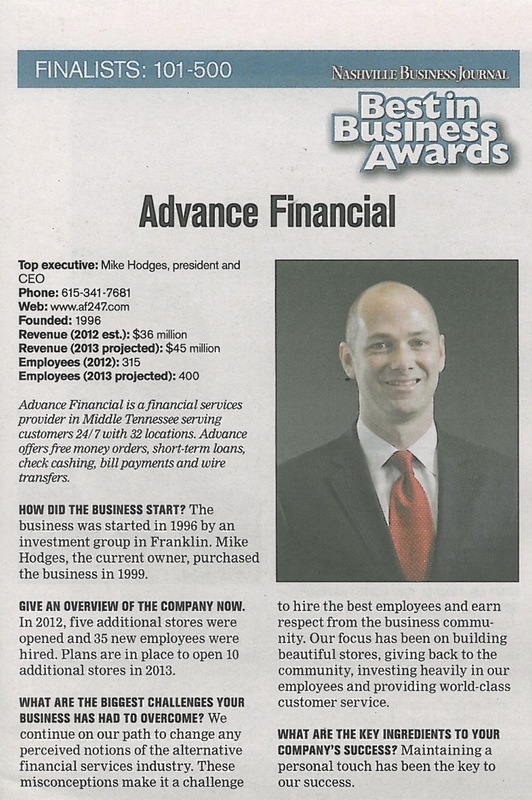 Congratulations to Michael Brody-Waite [InQuicker] and Dan Hogan [Medalogix], both honorees of the Nashville Business Journal’s 2013 class of Health Care Heroes. 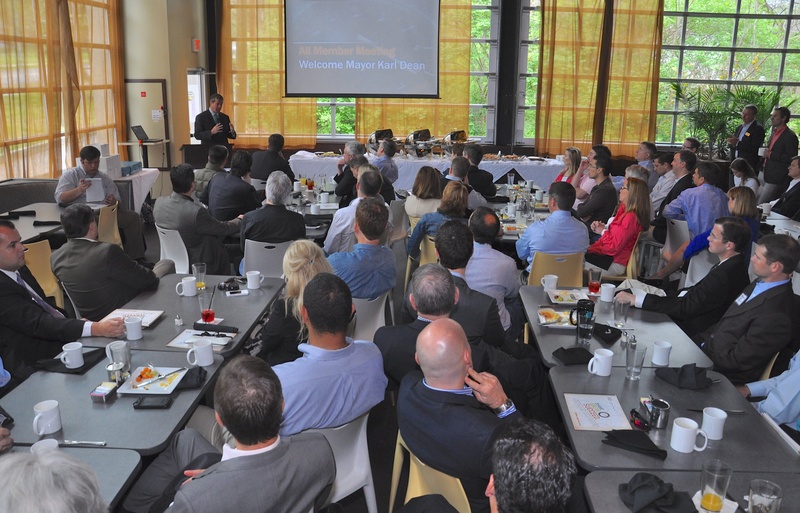 Honorees were selected for their contributions to Nashville’s community and health care industry by a panel of judges.